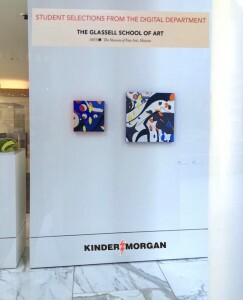 kelyne reis @ Kinder Morgan Bldg. Glassell School of Art/MFAH shows works from the Digital Media Dept. @ Kinder Morgan Bldg./Houston.